Sooo how about some black with gold stamping? It's been ages since China Glaze Liquid Leather popped its head out of my collection and todays the day! 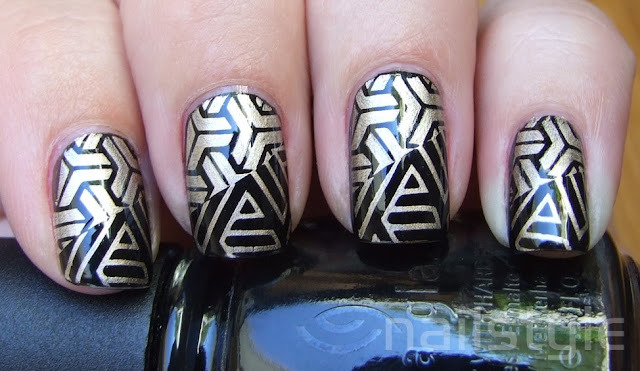 I love the black and gold combination and was keen to try another of my Red Angel image plates. Liquid Leather is lovely to apply and is opaque in two coats. 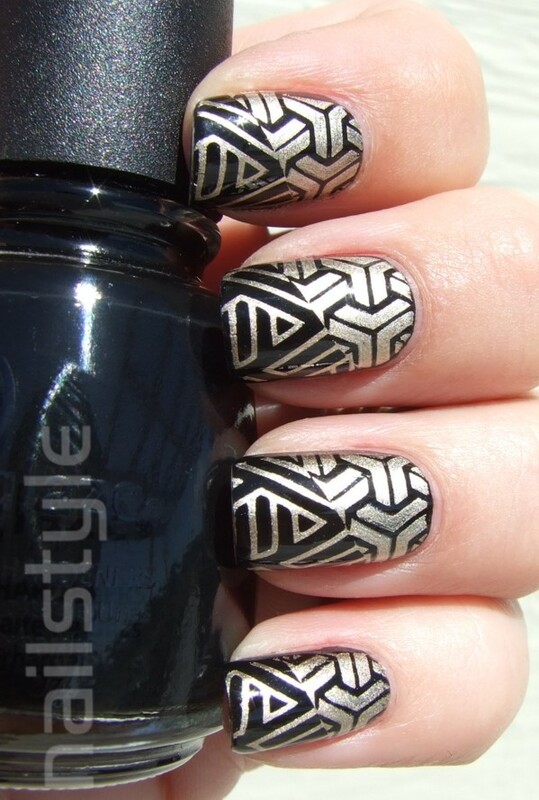 Cleanup can be a bit messy - but you get that with black! lol This image plate was brilliant to use. The image transferred really well and I'm happy with the result. Awesome! Makes me think of the future or robots! This is freakin awesome! I love it! Awesome ! look so sofisticated ! OPI Purple with a Purpose with FLAKIES!